Blogging can benefit many industries. A recent article in the New York Times about the growth in the hair industry got me thinking about blogging again. 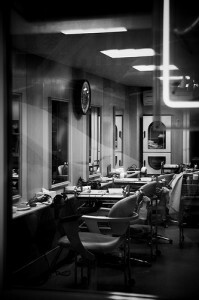 The article – Haircutting Business is Thriving in a Shrinking Economy – discussed the way the overall hair industry has been thriving. More individuals are starting their own hair salons in recent years than many other industries. The explosion of small business in the hair industry goes against the way the economy has been perceived and it shows hope that it is possible to succeed no matter what. It’s great to see people see opportunity and take action. Folks in the hair industry understand their situation and they are taking advantage. After reading the article I got excited about the potential ways small businesses in the hair industry could benefit from blogging. One of the businesses in the article is already doing great things with inbound marketing. Fabuloc was highlighted in the article as oen of the small businesses in the hair industry that is growing fast and even considering franchising. I investigated the company a little bit and found their great video channel – The Natural Hair Show. Fabuloc has honed in on an in demand niche in the hair industry. The company is providing great content in the form of video and they’re connecting with their customers. This is inbound marketing, which is what blogging really is. For others in the hair industry I think there is opportunity to use blogging to attract an audience, have those visitors opt-in to your communications, and eventually convert them into long-term, paying customers. Your hair industry blog can focus on other areas of interest for customers. The article above mentioned that short hair has been in fashion for the last few years and continues that way for both men and women. A blog that focuses on the latest trends in hair would do well. The blog could have articles discussing what the latest hair trends are. For a male barbershop, a focus on the ways men are going back to the short hair that was popular in the ’50s and ’60s would be great. There could be articles that talk about various forms of short hair. Other articles could highlight where celebrities have been seen out with new short hairstyles. Famous male figures could be highlighted showing how the short hairstyle has evolved. For women the same can be done. Articles could discuss the history of short hairstyles. There could be how-to articles on how women can style their own hair at home once they have had their hair styled at the professional salon. People are looking for ways to feel good and a fresh hair style is one of those things that makes people happy. The hair style at the salon or barbershop is the most important way to make people happy in the hair industry. Blogging can also be a way to provide more value for your customers. If you can have a blog that helps make people feel good about their hair (How-to articles, examples of their hairstyle on others, etc.) you will have them hooked. They’ll want to read more of your content. They’ll want to involve themselves with your brand. Focus on adding value with your blog. It’s the way growing businesses in growing industries are utilizing inbound marketing for success in the future.